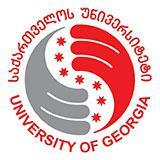 The University of Georgia offers exchange opportunities to its students with American and European higher educational institution as well as those located in other parts of the world. UG joined Erasmus Mundus since 2013. Erasmus Mundus is a cooperation and mobility program in the field of higher education that aims to enhance the quality of European higher education and to promote dialogue and understanding between people and cultures through cooperation with Third-Countries. Program includes implementing exchange of Undergraduate, Graduate, PhD, Post-Doctorate students and Academic/administrative staff in European higher educational institutions. In the framework of the individual cooperation, students are allowed to become exchange students in European and American leading universities for one or two semesters. Since 2015, UG joined the Erasmus+ program with EU partner institutions. Erasmus+ is the EU program 2014-2020 for Education, Training, Youth and Sport. The Erasmus+ program aims to boost skills and employability, as well as modernizing Education, Training, and Youth work.